Now available on USB flash drive, SOS is excellent for students who work at the computer. Based on their LIFEPAC curriculum, this interactive, multimedia learning environment has been updated with more videos and animations, sound clips, and approved web links. 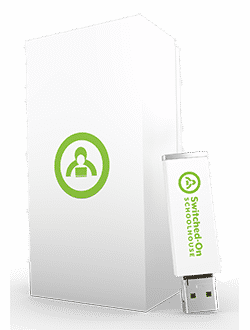 Features and Benefits for Switched-On-Schoolhouse What’s new this year? Check out the new features. Every year Switched-On Schoolhouse gets better and easier to use for student and teacher. Switched-On Schoolhouse System Requirements See the system requirements for Switched-On Schoolhouse. Science: Plants & Animals and Energy. The Switched-On 5-Subject Set for Grade 9 includes Bible: New Testament Survey, English I, World Geography, Algebra 1, and Integrated Physics & Chemistry.